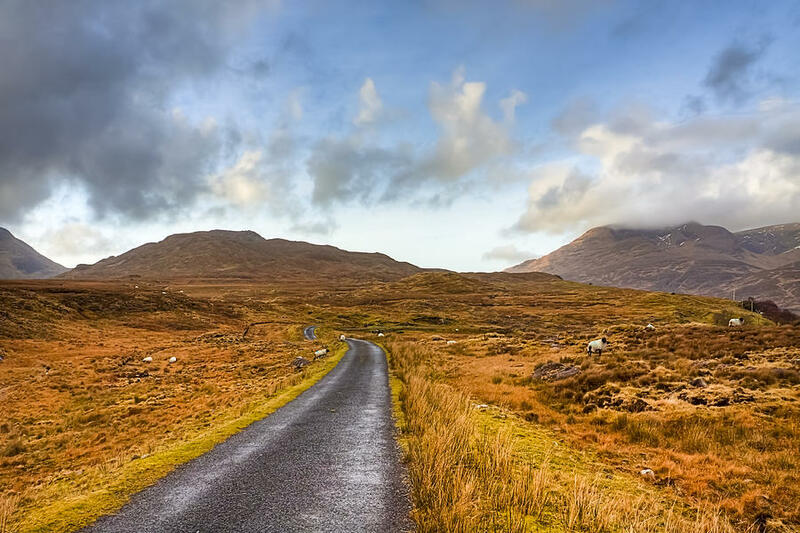 This is a tour for those that wish to take a break from their hectic lives and spend a few days walking and relaxing in the wild countryside of Connemara. The trip includes 2 guided walks in the company of a professional guide, 2 nights bed and breakfast one evening meal as well as bus transfers from Shannon airport (if required). 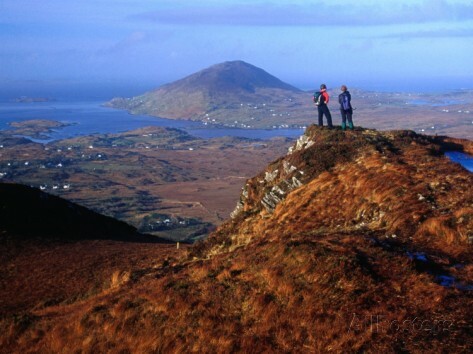 The rugged isolated landscape of Connemara is the ideal location for a weekend getaway incorporating great walking with a knowledgeable guide in a superb location. Day 1: Collection at Shannon Airport and Galway city (if required) and transfer to your hotel where this evening’s dinner is included in your trip. 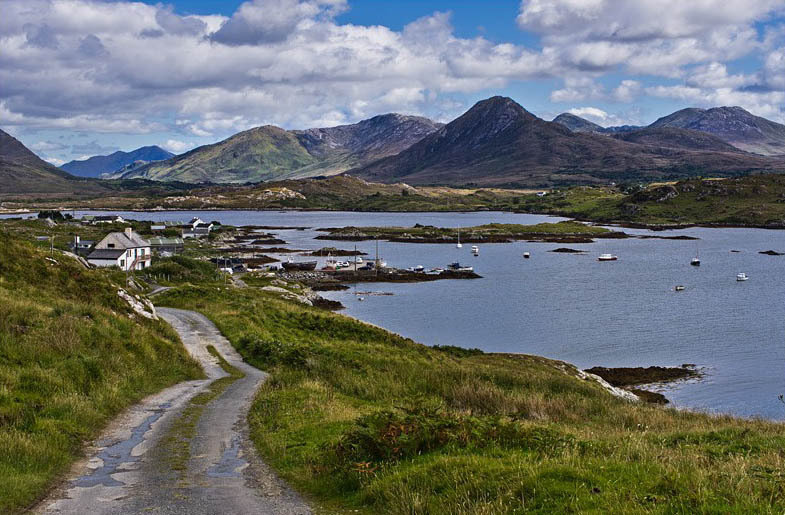 Connemara Renvyle hotel is your base for the weekend and this tranquil, family run, hotel at the edge of the Atlantic, exudes charm. 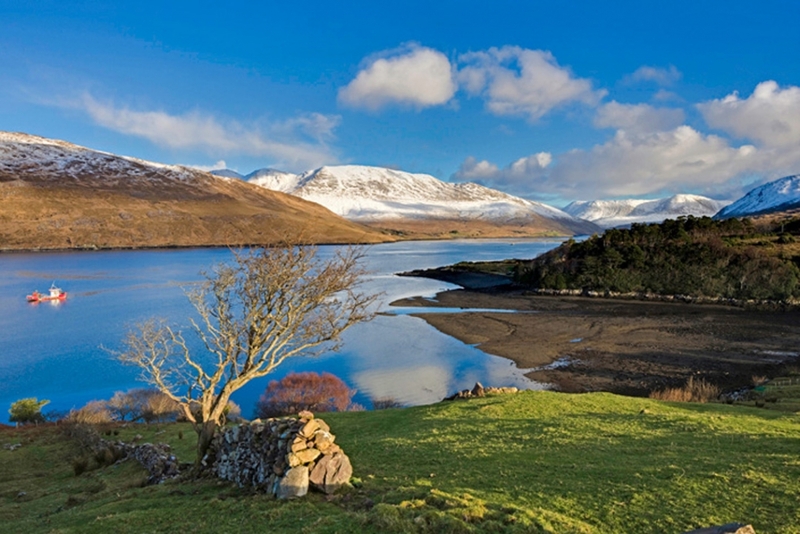 Arrive early and take a stroll in the hotel’s extensive grounds or venture further afield to explore what Connemara has to offer- you will not be disappointed. Day 2: After breakfast your guide will take you on a guided walk in the Connemara landscape. Today we will stay local and explore the area of Renville and Tully culminating in a walk over Tully Mountain- which at 356m is really just a hill !!!. Our rambles today take you through the narrow country lanes and rugged countryside. In this wild, wonderful, landscape you can sense the past in the people, the language and monuments around you. Along the way glimpses of this past are realised through prehistoric stone rows, standing stones and megalithic tombs. Day 3: Weather conditions will determine todays walking options. We either trek to the top of Benchoona at 580m or Diamond Hill at just over 400m. Either way the views from the summits are incredible with spectacular vistas out to the Atlantic Ocean, the off shore Islands and the surrounding mountain peaks. Afterwards the bus will return people to Galway and onwards to Shannon (if required).